Black Friday is just around the corner and discounts are raining on almost everything. Here, we are happy to inform you that PureVPN is running a big promotion now and you can get this most reliable VPN for just $1.32/month! During this Black Friday/Cyber Monday sale, you can save 88% off 5 years of unlimited VPN which makes the price for 5 years of their VPN service just $79.00. That means five quarters and a dime and you’re good to go every month for five years. PureVPN is a well-known and reputable VPN that offers high-end security and privacy to users, along with a global network of 2,000+ strategically placed servers in 140+ countries. PureVPN includes a number of features including encrypted VPN access, SmartDNS service, Kill Switch, dedicated IP, and port forwarding. It allows people to bypass geo-restrictions and get access to all geo-blocking movies, shows, and sports they want from anywhere of the world. 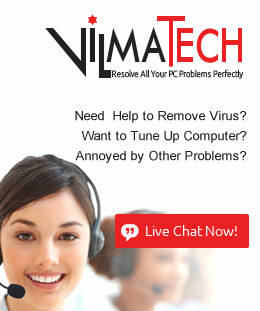 And with the VPN you can stay safe from hacking attempts and malwares. The promotion is live and will be end soon. 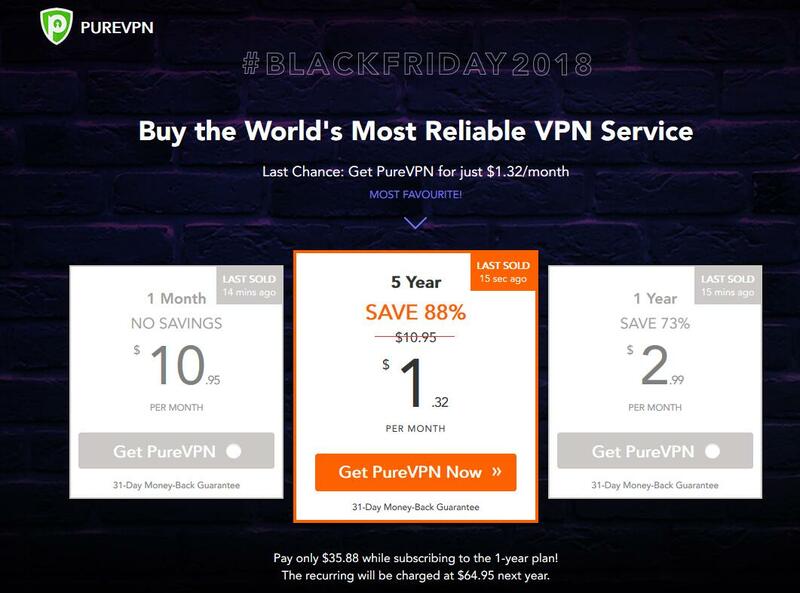 Grab the last chance to visit PureVPN website and get their Black Friday Sale as soon as possible. No coupon code needed.